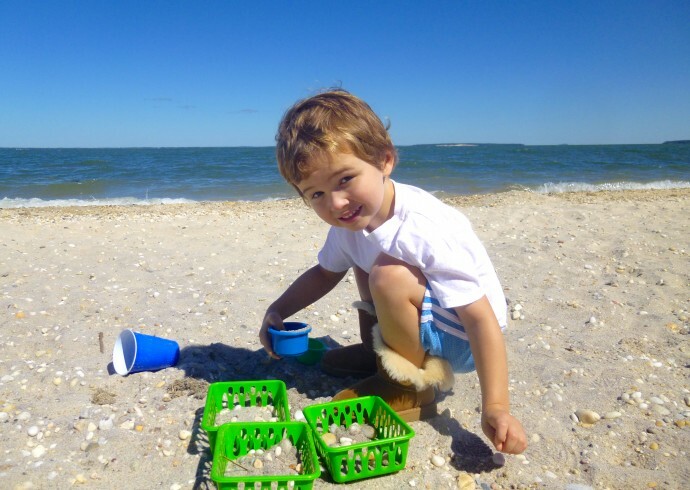 Babyhampton BeachBum Sunscreen: The Safest Sun Protection For Your Kids, Created By Amagansett Mom Kristin Peterson! 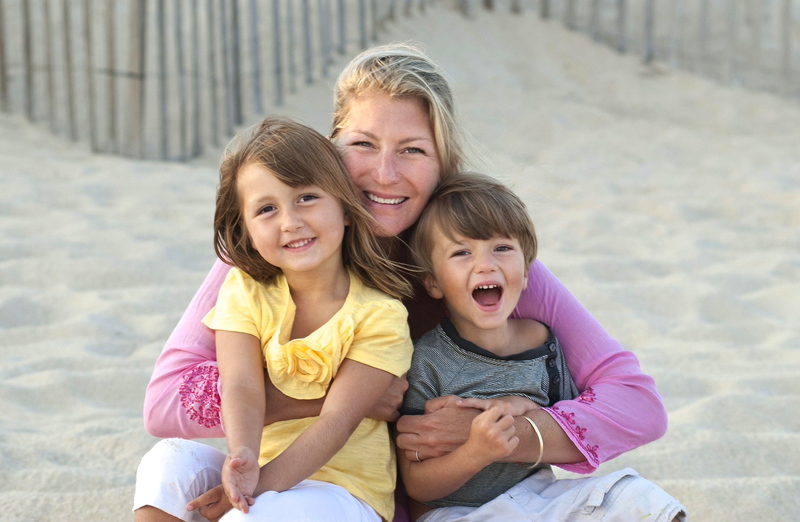 Super mom Kristin Peterson [above] of Amagansett is set to launch babyhampton beach*bum spf 30 sunscreen in the Hamptons! 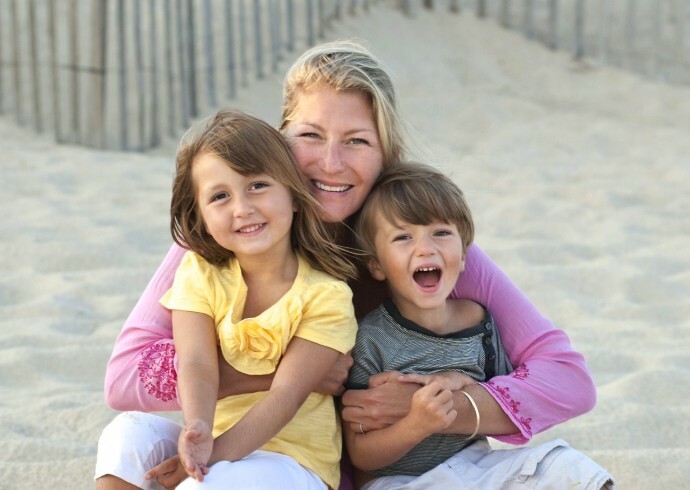 Kristen created babyhampton after struggling to find a chemical free, safe and effective sunscreen to protect her two young children, Stella and Baeke [pictured above]. 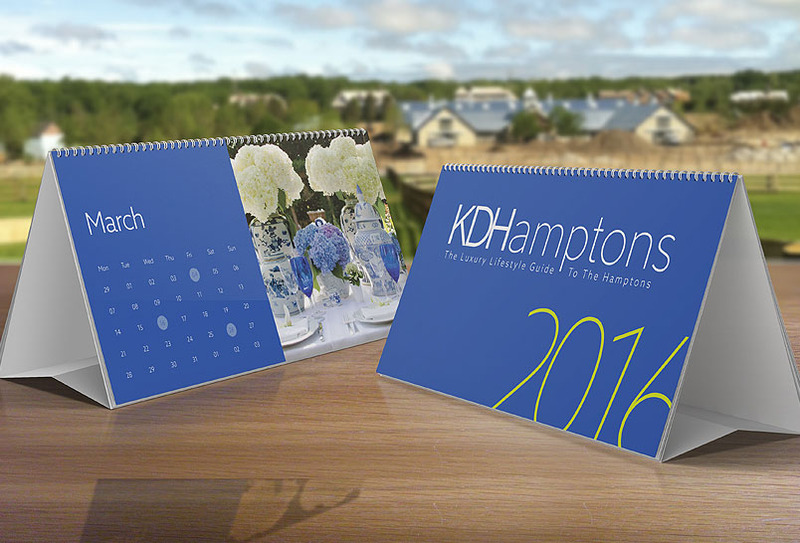 KDHamptons: Please describe the highlights of your new product? Kristen: babyhampton beach*bum spf 30 sunscreen is a mineral-based sunscreen made from zinc oxide—the most effective mineral to provide broad-spectrum protection against both UVA (causes cancer and premature aging) and UVB (sun burning) rays. Its certified organic ingredients, including grape-seed extract, green tea and rose hip antioxidants, shea butter, and extra virgin olive and jojoba oils, help moisturize the skin while protecting from the sun. KDH: What is the biggest difference in your formula vs. others? 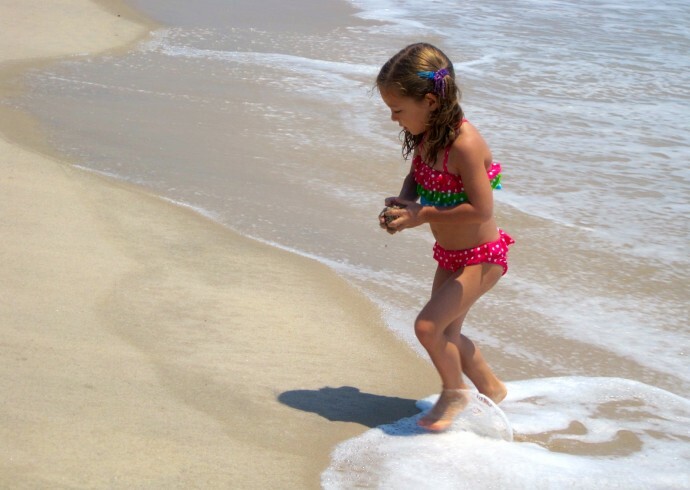 Kristen: Unlike other sunscreens on the market, babyhampton’s formula does not contain the chemicals oxybenzone, octocrylene, avobenzone, octisalate, octinoxate or retinyl palmitate. There are not enough studies on the long-term effects of chemical sunscreens on children, so why take the risk when we have a safer option? 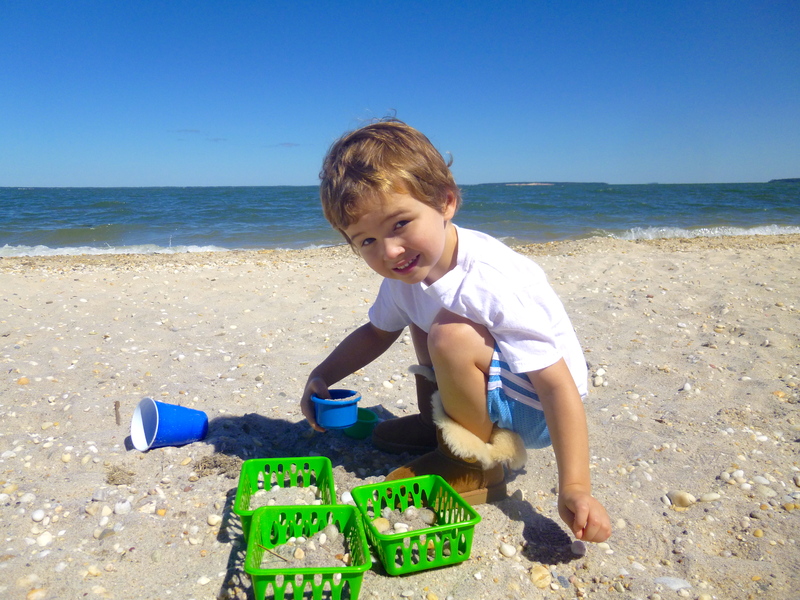 KDHamptons: How important is it to apply sunscreen to our little ones? Kristen: According to experts, 80 percent of a person’s lifetime exposure to skin-damaging ultraviolet rays occurs by the age of 18. The National Cancer Institute cites melanoma as the second most common form of cancer for young people 15-29 years old. So yes, it is SO important! KDH: Please explain the difference between UVB rays and UVA radiation? Kristin: People pay too much attention to SPF alone. The SPF number indicates the amount of time a person can stay in the sun without burning (UVB rays), it does not relate to UVA radiation which causes long term skin damage and cancer. The effectiveness of sunscreen greatly depends on time of day, skin type, UV index, sunscreen brand, water, sweat, etc, so SPF often gives a false sense of protection, even when people know what the number means. And remember, it’s always important to reapply frequently. KDH: Why is zinc oxide such an important ingredient? 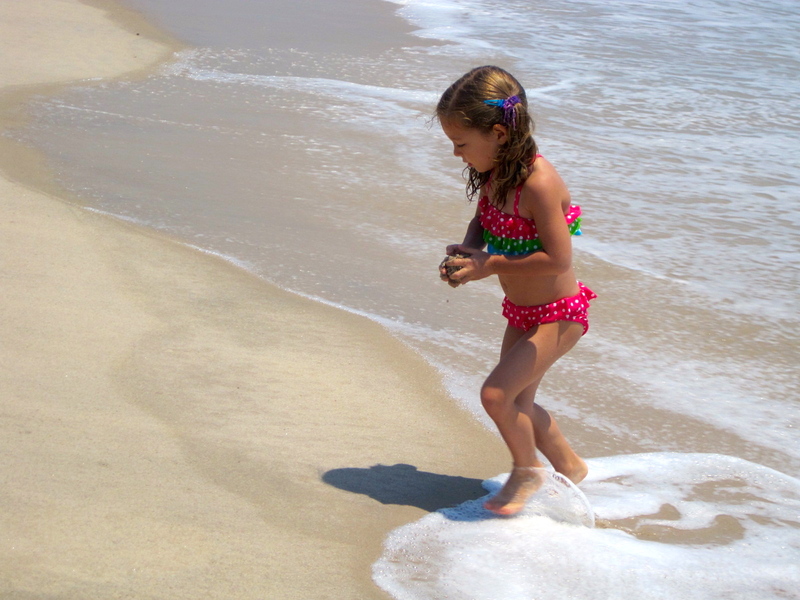 Kristen: babyhampton beach bum SPF 30 mineral sunscreen uses the active ingredient zinc oxide, not titanium dioxide. Zinc oxide has a long history of safe use, and is used even on the youngest babies in diaper rash creams. babyhampton beach bum sunscreen provides broad spectrum protection against both UVA (cancer causing and premature aging) and UVB (sunburning) rays, and is made with non-nano sized particles which do not absorb through the skin like chemical sunscreens. This unique formula combines certified organic ingredients of grape seed extract, green tea and rose hip antioxidants, shea butter, extra virgin olive and jojoba oils to moisturize sensitive skin while protecting from the sun. KDH: Any more tips for safe sunning? 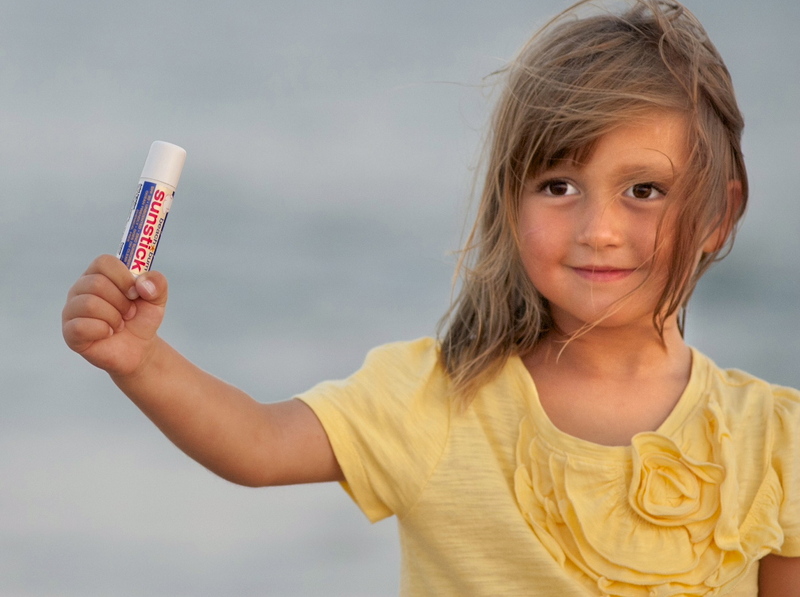 Kristen: Use babyhampton beach bum sunscreen on the whole family when enjoying the sun with little ones! babyhampton beach bum is an effective sunscreen, however, seeking shade, wearing protective clothing, and avoiding midday sun provides the ultimate in sun protection. [For babies under 6 months, please consult with your pediatrician before using any sunscreen]. KDH: Where can we buy your product in the Hamptons? Why take the risk on your next island trip or this summer? 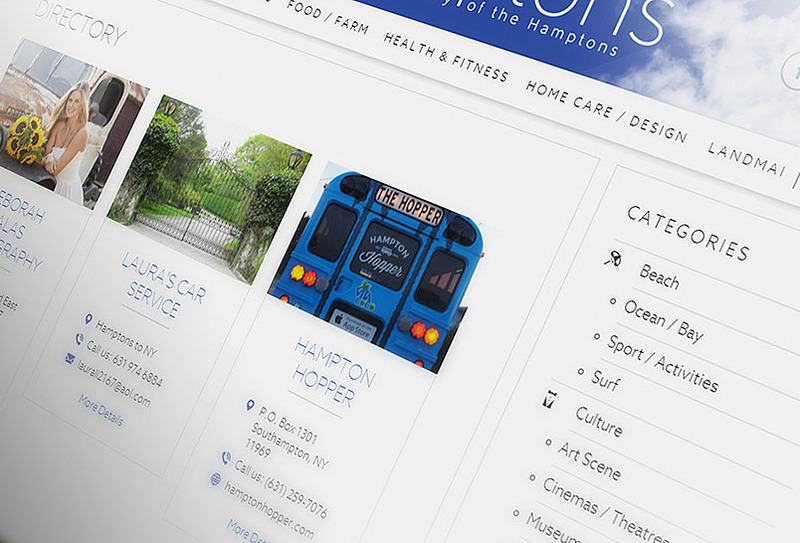 Use babyhampton beach*bum spf 30 sunscreen. It’s your safest option for the whole family when enjoying the sun with your little ones!